In order to ensure every member of your family thoroughly enjoys your next family getaway, continue reading to discover a few helpful family tips. As an example, if you plan on organizing a fun-filled family trip to Hawaii, don’t bother packing snorkeling sets as you’ll be able to hire them inexpensively in Hawaii. Alternatively, if you are planning a family skiing trip, there’s no reason to pack wrist guards, helmets and goggles for your entire family as you can also hire such equipment, once you arrive at your destination. As an example, you’ll be sure to make your children’s day if you allow them to purchase a soft cuddly toy at Disneyland, which will remind them of their special family trip. Or if you eat treats such as ice cream more frequently than you would at home. Even if you’re planning a fun-filled family road trip, it’s a great idea to spend more than one day in each location which you visit as a family. As trips which involve shifting hotel rooms on a daily basis will likely tire your children out. As a bonus, if you choose to spend at least two days in each location that you visit, you won’t have to rush around trying to visit every attraction and activity that you want to visit, in a single day! While you may be comfortable with winging it and trying to find last-minute accommodation when you travel on your own or as a couple, when you’re booking a family holiday, it’s a much better, wiser option to prebook and confirm your accommodation in advance. As there’s nothing worse than searching a city for reasonably priced accommodation, with your tired, frustrated kids in tow and not finding a suitable property before the sun goes down! While it’s unlikely that you’ll run into any difficulties on your next family trip, it’s still a great idea to arrange travel insurance as if you or your kids end up needing to visit a doctor, you’ll end up paying an exorbitantly high fee if you don’t have travel insurance. Travel insurance can also be a lifesaver if you arrive at a foreign airport and find that your luggage has gone missing. As while your travel insurance policy may not pay out immediately, someone from your insurance company should be able to tell you, how much you’re likely to be compensated. So that you can try and purchase new clothes for your family, knowing that you’ll get reimbursed for the money which you’re spending. As an example, a child-friendly location may be located within close proximity to child-friendly eateries and parks and may offer incredible onsite amenities and facilities such as a swimming pool or barbecue area. 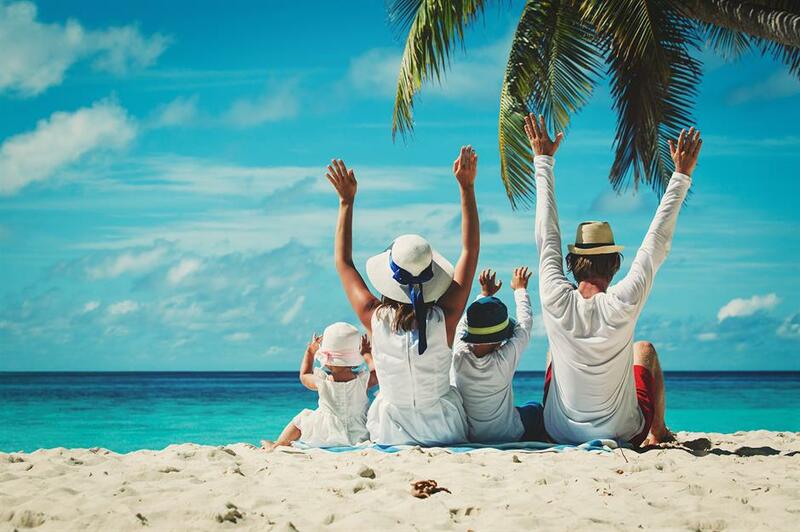 So if you’d love to ensure that everyone in your family has the best vacation possible it’s well worth paying attention to the six tips which are listed above!